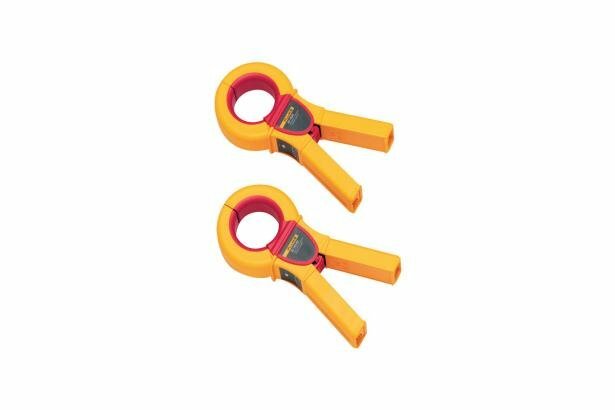 The Selective/Stakeless clamp set is used along with the Fluke 1623-2 and 1625-2 to perform Selective and Stakeless testing. Selective testing means using one clamp along with earth ground stakes to provide earth ground loop resistance values for one earth ground electrode. Stakeless testing uses both clamps provided to perform earth ground loop resistance measurement without stakes. Both tests have the advantage of providing measurements with no disconnection from the grounding system! Safer and quicker. Already included in the Fluke 1623-2 and 1625-2 kits. Both clamps have a 50.8 mm (2-inch) inner diameter.